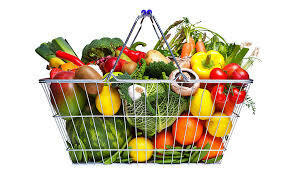 Crown HealthWise > Health Tip of the Month > Fruits and Veggies: How Much is Enough? Fruits and Veggies: How Much is Enough? Fruits and vegetables contain essential vitamins, minerals, fiber and other naturally occurring substances that may help prevent chronic diseases. Eating fruits and vegetables are also a great way to manage and maintain a healthy weight. If you’re like many Americans, you’re most likely not eating enough fruits and vegetables. Make fruits and vegetables the focal point of every meal and snack, covering at least half the plate. With a wide variety of colors, textures, tastes and shapes, there is a fruit and vegetable out there for everyone. To learn helpful tips on ways to increase your fruit and vegetable consumption, visit www.fruitsandveggiesmorematters.org.